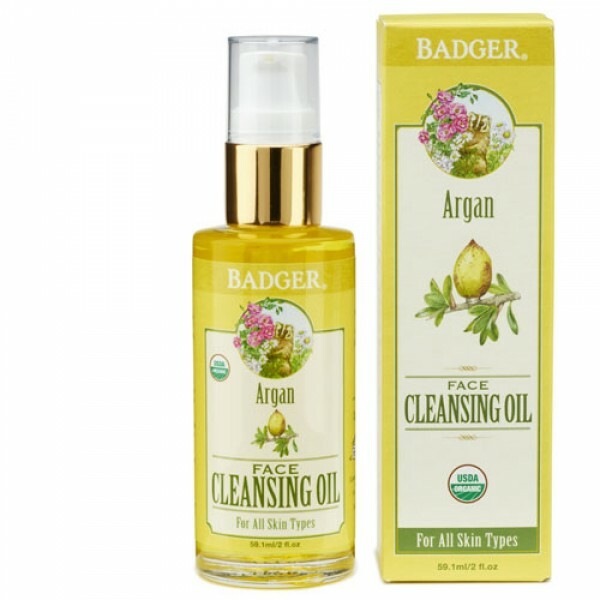 Badger Argan Cleansing Oil for all skin types is made purely from organic plant oils and is certified organic by USDA. If you were the queen of an ancient civilization, you would have used this amazing blend to cleanse your beautiful skin. 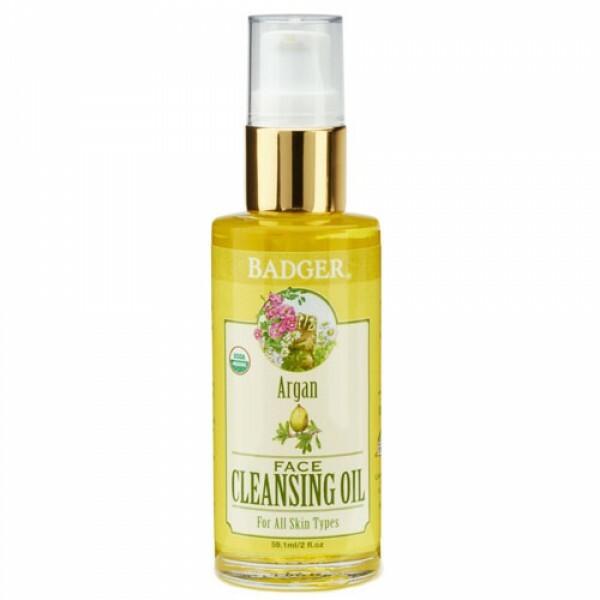 Inspired by thousands of years of skincare tradition, Badger Argan Face Cleansing Oil deeply cleanses all skin types. Castor oil lifts impurities while Argan, Sunflower, and Jojoba replenish essential vitamins, fatty acids, and lipids. Clears away makeup and impurities—leaving your skin feeling clean, balanced, and glowing! How does the oil cleansing method work? The idea behind cleansing oils is twofold: like dissolves like, and balance is the key to healthy, happy skin. As we go about our day dirt, pollution, and other impurities can become trapped within the oil on our face. Oil cleansing is a gentle and simple method to dissolve facial oil congested with bacteria, dead skin cells, dirt and buildup, and replace it with fresh, clean, vibrant plant oils – without stripping or over-drying the skin. Deep-pore cleanser for all skin types. Uplifts the mind and senses with a light floral citrus aroma. Re-balances skin, leaving it refreshed and glowing.